As most of you know, my family decided to take a trip to Disney World right before Christmas. Well, the mani I did before we left just happened to have my 2 favorite polishes from this year. So, it's with a happy accident that this turned from a NOTD to a 2012 Favorite post. Lately, I have been drooling over the OPI Skyfall collection. 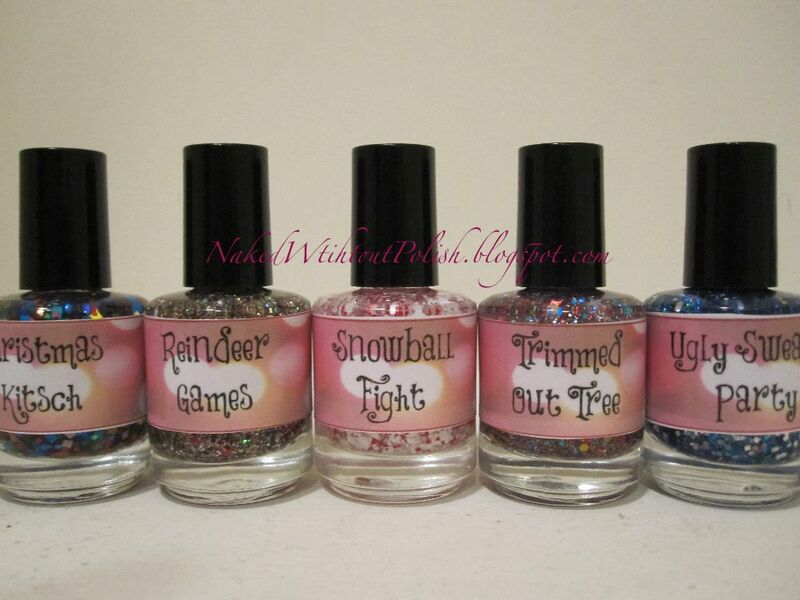 I love each and every one of them and I NEED them...yes NEED...don't judge a polish-a-holic! Well, I have one. 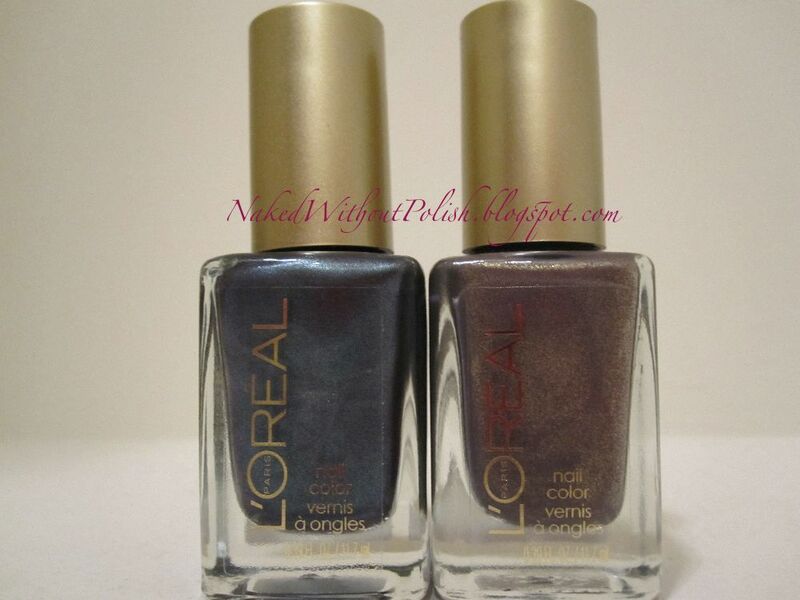 On a recent trip to ULTA I snagged the ONLY polish that was left in the Skyfall display. Slow but surely, they will ALL be mine! Rescue Beauty does what is called Bring It Back (BIB). Where they will bring back some colors that had been discontinued. This time they brought back 6 beauties! I snatched up two of the BIB colors (before one of them sold out thank goodness) and also a third color but not one from BIB (right before it sold out thank goodness). This is one of the 2 I got from the BIB sale. Comparison - OPI Meep-Meep-Meep and Essence Glamorous Life! This is my first comparison post. 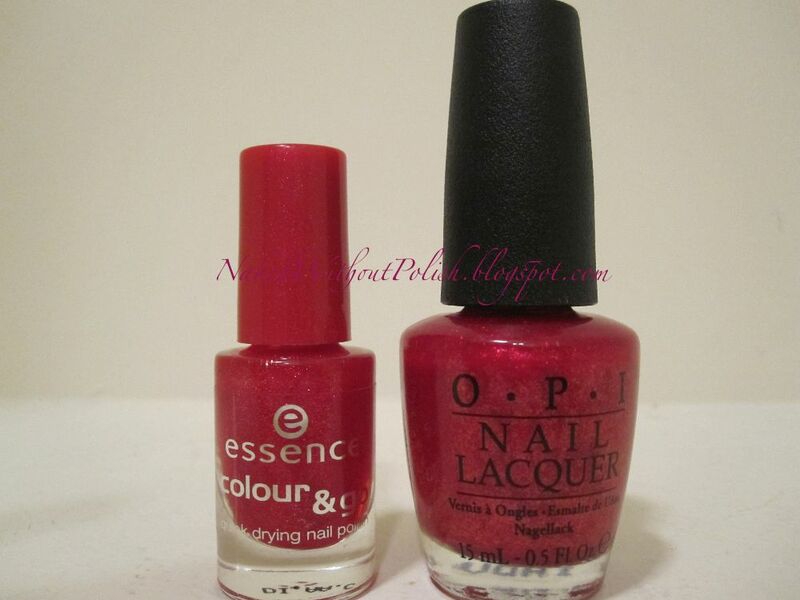 As I was grabbing polishes for some reviews I noticed that two of my polishes were EXTREMELY similar. I don't know how I didn't notice it until now. MERRY CHRISTMAS EVERYONE!!!! I hope you all are having a beautiful day with your loved ones! I had been eying Scandalous for quite a while and when Cult Nails had a sale several weeks back, I snatched it up...along with a couple others. It arrived around the same time as my Ornate collection arrived. I knew I had to pop them together. It started out as a jelly sandwich that went ALL sorts of wrong!!! I know I told you all I would show you the good and the bad, but it was just plain disgusting! You didn't want to see it. Lately I've been loving cremes with just a hint of shimmer that helps give it some depth. That's exactly why this polish caught my eye! I couldn't wait to get it on my nails!! I know I'm a little late in showing you my It Girl November Maven box from Julep, but these beauties were worth waiting for! It's no secret I'm a sucker for a matte finish. Well, the November Maven box was chalk full of matte goodness! I was so giddy when they sent out the preview emails! If only I could have gotten one of everything! TODAY IS MY BIRTHDAY!!!!!! What's the best way to celebrate a birthday? A PARTY!!!!!! So, let's close this Hometown Holiday collection with an Ugly Sweater Party!! Happy Thursday to all!! This next one is probably my favorite out of the five in LynBDesigns' Hometown Holiday collection. If you haven't yet decorated your tree, this will definitely put you in the mood to do so. Happy Wednesday everyone!!! 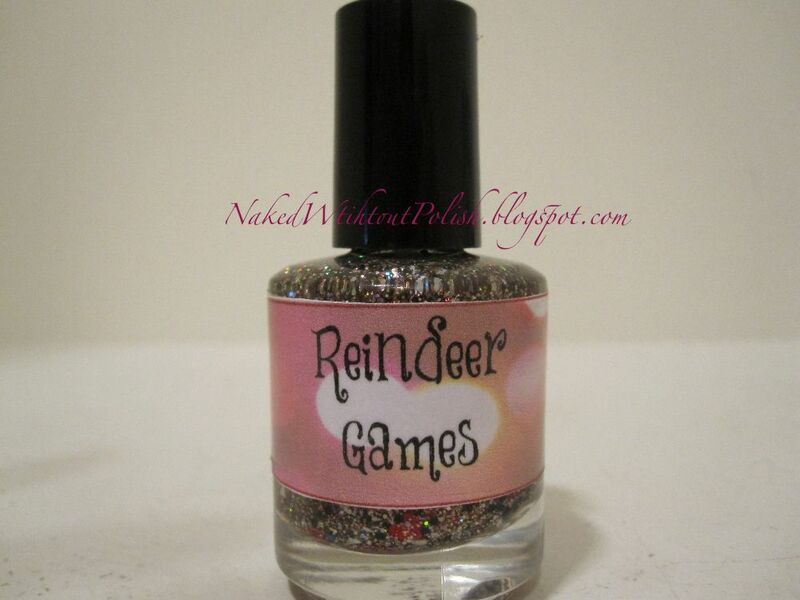 I know there have been 101 red and white glitter topcoats this holiday season, but they've all be so much fun! Today's polish from LynBDesigns is no exception! 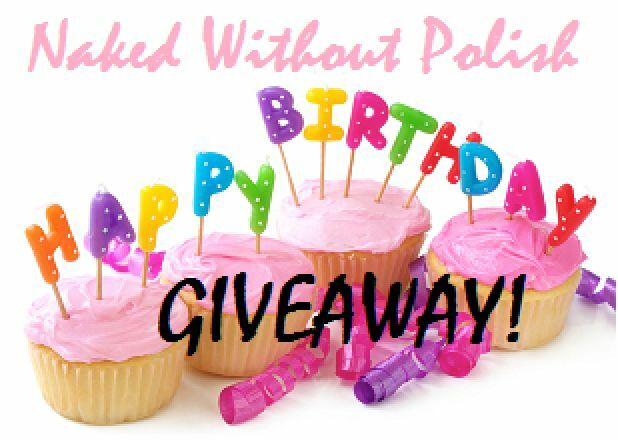 My birthday is December 14th, but I've decided to start my giveaway early because I love you all so darn much!! Who know there would be a soft spot in my heart for the color brown? Well, more specifically...brown glitter. There is just something about it that I can almost never pass up! Well, this has fast turned into one of my favorites from the LynBDesigns Hometown Holiday Collection. Happy Monday to all!!! Today is the start of my birthday week!! My birthday is Friday the 14th! The big 3-1! I'm not thrilled about it, but it's my birthday, so the excitement Trumps the sting of getting older. Because it's my birthday week, I'm showcasing a wonderful indie company ALL week long! One new polish every day. The wonderful, Jenna at LynBDesigns sent me her entire "Hometown Holiday" Collection to review. Look at these adorable labels! I am finally finishing up the reviews from the last giveaway. SO MANY!!! 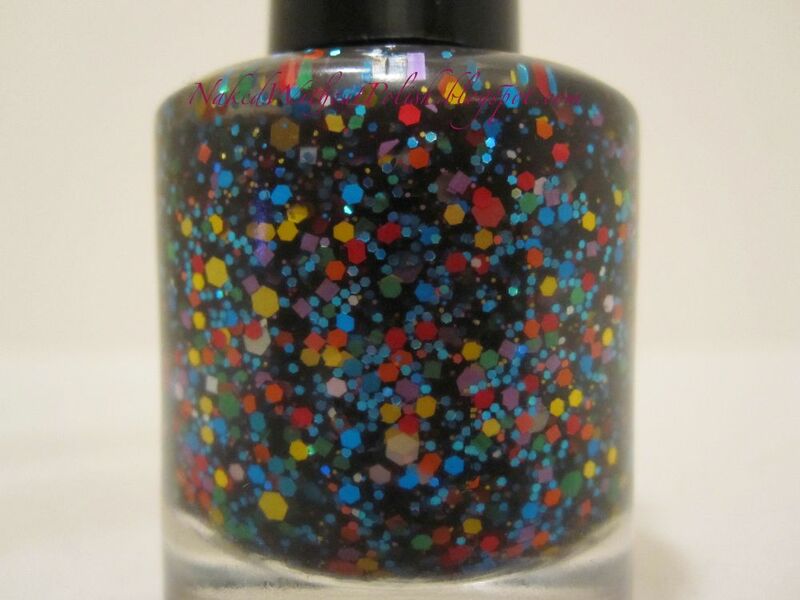 haha So, we are ending the review-a-thon with another glitter from Trelly's M.I.S.C. Polish. I know, it looks like just another basic black, white and red glitter bomb. Those were my initial thoughts when I saw the bottle. I love with my gut reaction is wrong though. Once opened up and brushed on lovingly, Dance Education came to life! We've had a lot of red white and blue glitters lately. 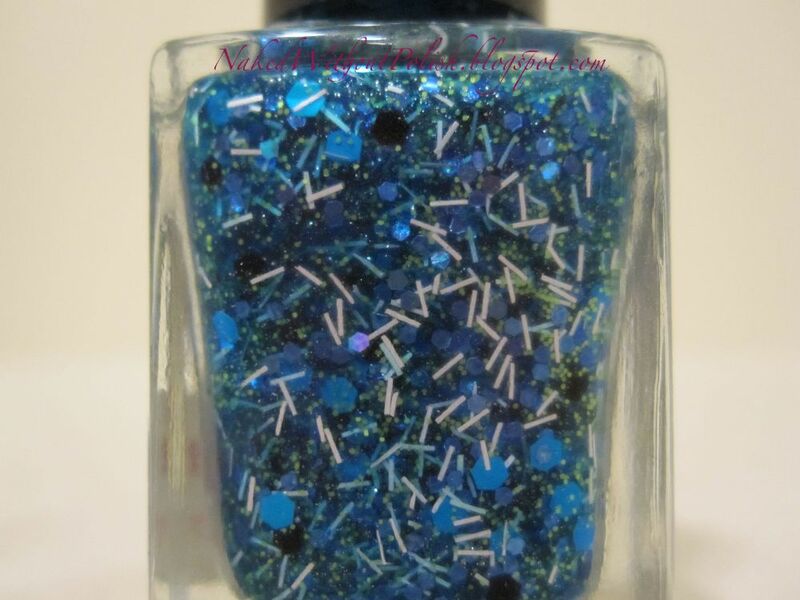 Today, I have an ORANGE, white and blue glitter for you! 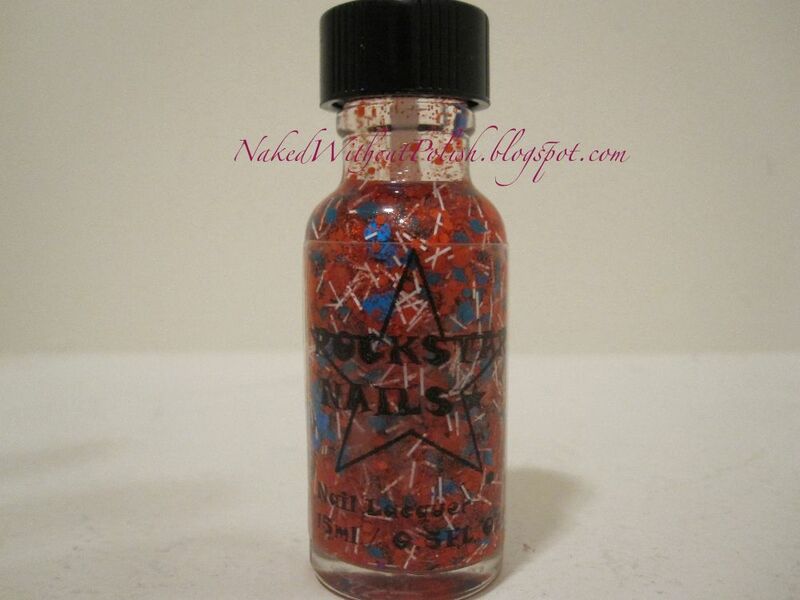 Rockstar Nails sent me this glitter packed bottle. I have to admit I was skeptical, all the shapes not usually my cup of tea, but this was done just right, it wasn't overwhelming and not too packed (even though the bottle is deceiving). First post of December! Can't believe the year is almost up! Every year just seems to fly by quicker than the one before. So crazy! Since the holiday season is upon us, and everyone seems to go a little nuts this time of year, I figured this next polish was appropriate. Another first of two, Darling Diva Polish. December is a big month in our household. Not only is it Christmas, but both my husband and I have birthday's this month. Mr. NWP and I were talking and we thought it would be fun to do something a little different to celebrate his birthday. His birthday is December 8th so his is the first giveaway to go live!